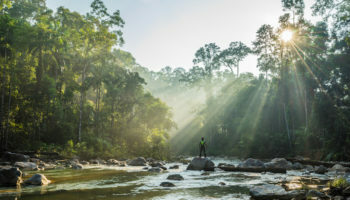 With a long and fascinating history, Malaysia is home to an intoxicating mix of different cultures and people – this is what makes its cities so fascinating to explore. Buddhist temples, skyscrapers and bustling markets can be found alongside colonial architecture and Malay buildings, while a mesmerizing array of beautiful landscapes border the cities themselves. With its rich cultural heritage, delicious cuisine and welcoming, friendly people, the best cities in Malaysia are unlike any place you´ve been before. Known as ‘the rice bowl of Malaysia,’ Alor Setar is the capital of Kedah State, which is full of padi fields and delightful curving hills. The city itself is a bastion of Malay culture and has some interesting galleries to visit, as well as some lovely architecture on show. 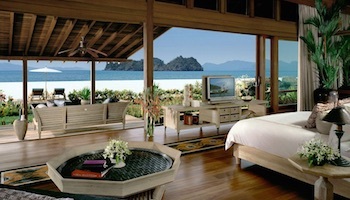 Nearby is the stunning Pulau Langkawi, a tropical island with idyllic beaches. This is where most visitors stop by when exploring the state. 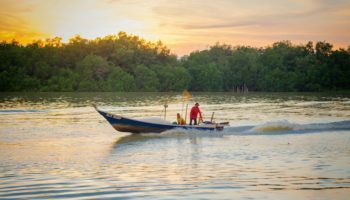 Part of an archipelago with around hundred islands, it is this contrast of padi fields and beautiful beaches that makes Kedah such a delight to discover. A hectic place without any historic or cultural attractions of note, tourists stop by Semporna for one reason only – to get to the nearby Semporna Archipelago. Full of traffic, if visitors do stay in the city for any period of time, they invariably head to a check out the mosque and the distinctive hotels on stilts lining the waterfront. Although some people do stay in the city´s cheap hotels to save money for a couple more dives, in general, you are much better off simply using Semporna to reach the nearby islands with their divine diving sites. Lying around thirty kilometers from Kuala Lumpur, Putrajaya is a planned city that hosts the government´s administrative body. Impressive to behold, there are some great monuments and architecture on show here, as well as some fantastic green spaces and parks. Beautifully illuminated at night, the city is well below its intended population, which makes it a bizarre and slightly unsettling place to visit. Well worth a visit, Putrajaya testifies to Malaysia´s ambition and vision for the future. Looking out over the bay of the same name, Sandakan´s strategic location meant that it was heavily bombed during the Second World War. 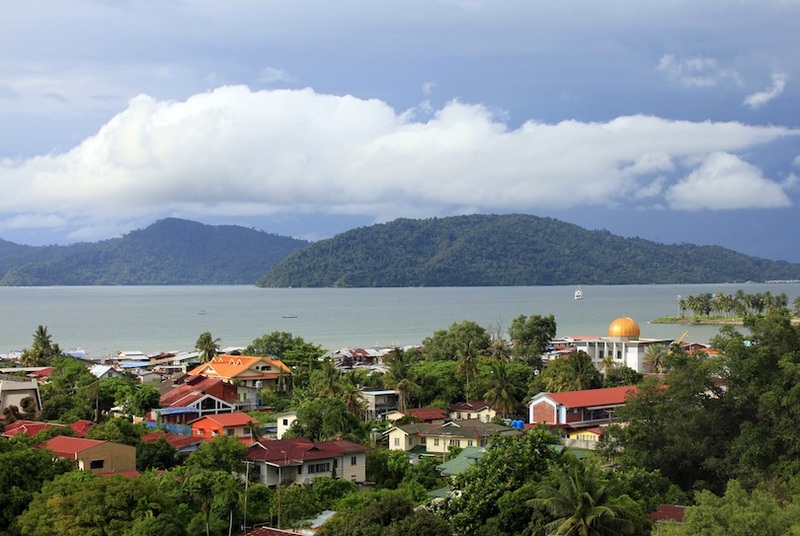 Despite this, there is a nice waterfront and some quaint colonial buildings and war memorials on offer – though in truth, Sandakan is seldom frequented by tourists. 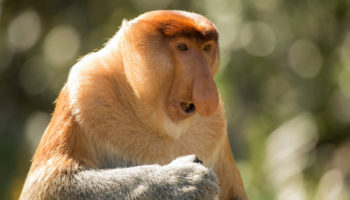 From here you can take a scenic boat ride down the Kinabatangan River, where there is a plethora of wildlife on show, or visit the orangutan sanctuary at Sepilok. The capital of Pahang state, Kuantan´s unattractive sprawl of concrete buildings and lack of cultural or historic attractions means that it often gets overlooked by tourists. However, the second largest port in the country does have a couple of nice points that make it worth exploring, with the oldest part of Kuantan, the Padang, being the highlight. There are some nice beaches nearby, and people often use Kuantan as a base from which to explore the nearby Gua Charas cave temple, or the royal town at Pekan with its fantastic palace. 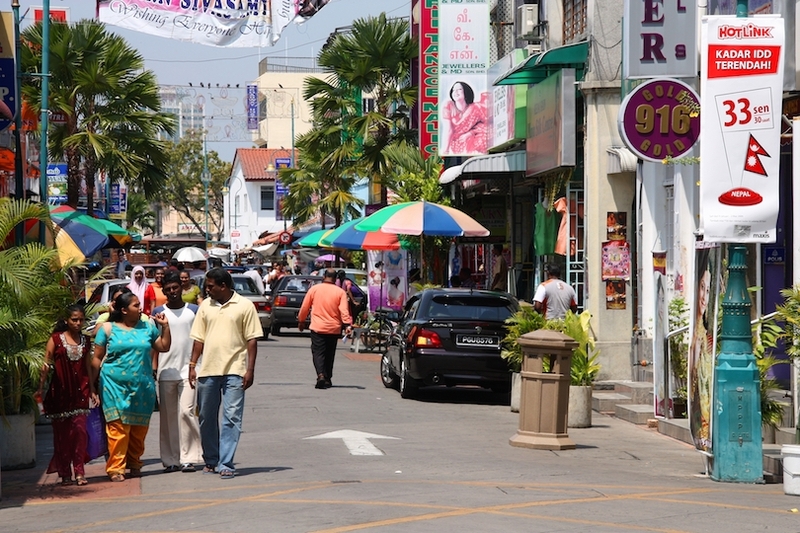 The most southern city in Malaysia lies on the border with Singapore. As such, most people only stop by on their way to the neighboring country. A chaotic, traffic-filled place with poor air quality, in recent years, Johor Bahru has tried to reinvent itself – things are slowly getting better, with more large developments still to come. A bustling city, it has more than enough museums and cultural attractions to make it worth visiting. 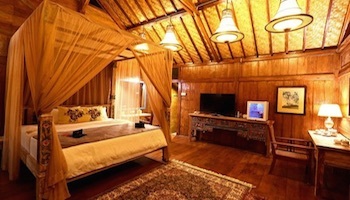 It also has some great shopping malls and lively nightlife. Formerly a tiny fishing village, the discovery of oil transformed the face of the city – skyscrapers now rub shoulders with quaint old buildings. Despite the proliferation of modern developments, Kuala Terengganu is still a charming place, with a particularly lovely Chinatown and some delightful beaches along the coast. Mostly used as a base to explore the surrounding region’s mesmerizing jungles and beautiful islands, the city has enough to keep visitors entertained for a couple of days. Located in the far northeast of the Malaysian peninsula, Kota Bharu is mainly visited by people looking to head on to nearby Thailand or the Perhentian Islands. The city itself, however, is the perfect place to gain an insight into Malay culture, with the interesting and educational Culture Centre being particularly captivating. With some lovely old architecture on offer, as well as some fantastic Buddhist temples and lively markets, Kota Bharu is a good location from which to explore the delights of Kelantan state. Fueled by oil money from the petroleum industry, Miri has modernized and expanded into the large city we know today. A modern place full of life, the city has numerous fine restaurants, hotels and bars for visitors to choose from, as well as some shopping malls and bustling markets. 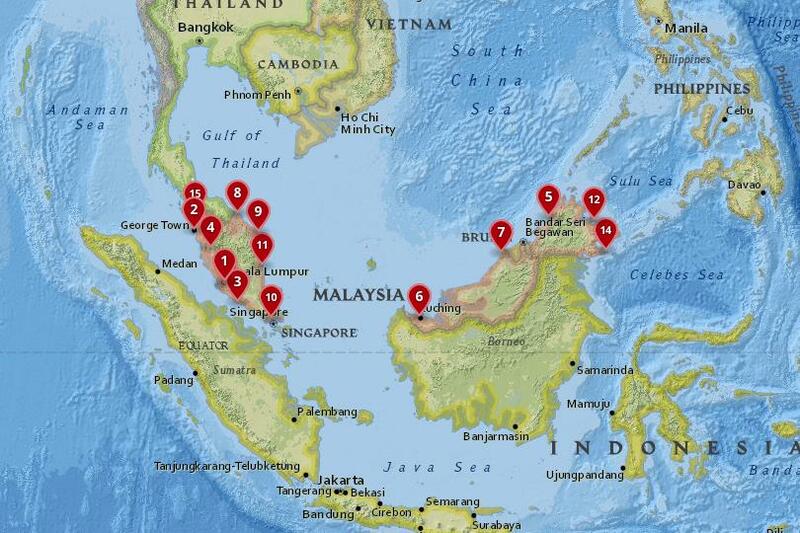 Due to its diverse population, it is possible to try dishes from all around Malaysia and further afield. As it is a major transport hub, many people stop by Miri on their way to other cities in Malaysia. 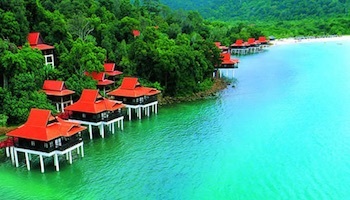 Despite being the the largest city in Borneo, Kuching is a laid-back, relaxing place to visit, with a lot to see and do. Lying on the banks of the Sarawak River, the city has a charming waterfront promenade and many interesting museums. 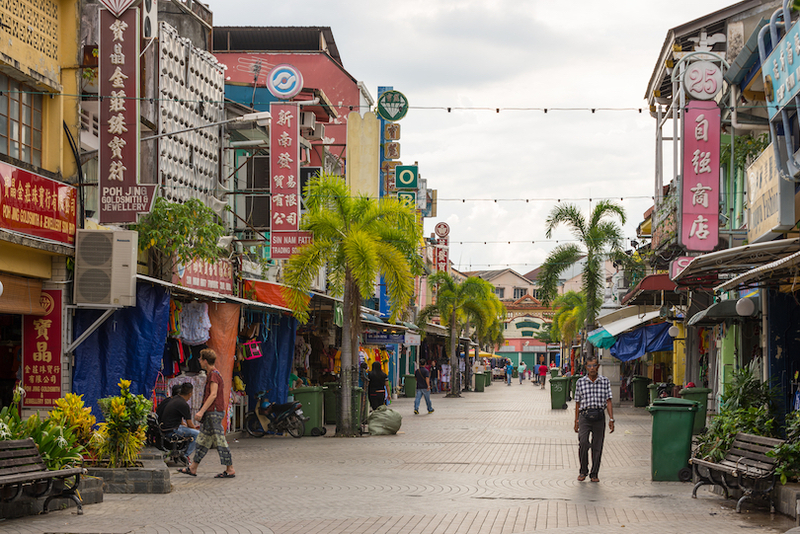 There are also numerous restaurants, bars and cafes that highlight the multicultural side of Kuching. Skyscrapers rise as if from amidst the jungle, and it is this, along with its colonial architecture, that makes for such a picturesque setting. A great base for exploring the rest of the island and the nearby national parks, in Kuching you can organize treks into the jungle as well as trips along the coast. Although Kota Kinabalu may not initially appear very enticing due to its sprawling concrete buildings, once you get to know it, you´ll soon become enamored with all that it has to offer. 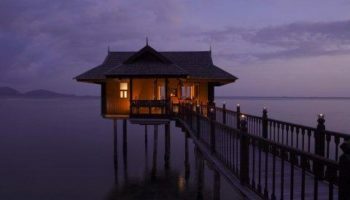 Located in Borneo, the city looks out over the South China Sea and has a vibrant waterfront and some incredible sunsets. With malls, markets, fantastic cuisine, and a vibrant arts and music scene, Kota Kinabalu has everything that you could want in a city. With so many sights lying nearby, it´s definitely worth checking out. 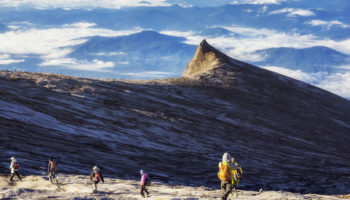 From here you can hike Mount Kinabalu, go scuba diving off the coast, or visit the spectacular islands of the Tunku Abdul Rahman National Park. The capital of Perak state, Ipoh lies between Kuala Lumpur and the Thai border, and is a lovely place to stop by. Its old town is pleasant to stroll around, with lots of little shops and cafes dotting its tiny streets. The new part of town has many great restaurants serving up traditional local dishes. A plethora of impressive temples catering to all religions lie within the city, with the Perak Tong cave temple being the highlight. A nice place to get away from the bustle of larger cities, Ipoh is also a gateway to the nearby Cameron Highlands. 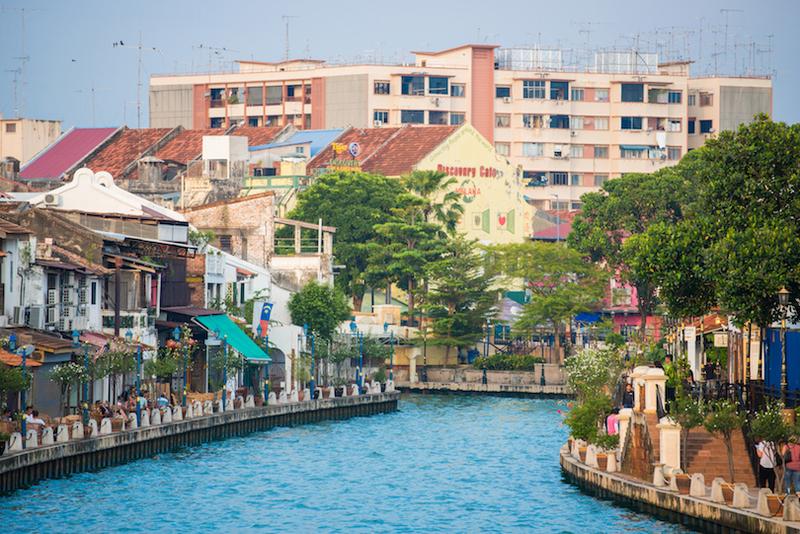 Lying on the west coast of the Malaysian peninsula, Malacca (Melaka in Malay) is a unique place to visit due to the British, Dutch and Portuguese all having ruled here at one point. As such, there is a wealth of lovely colonial architecture to explore, with each nation having left its mark in terms of the buildings left behind and the cultural impact that they had. 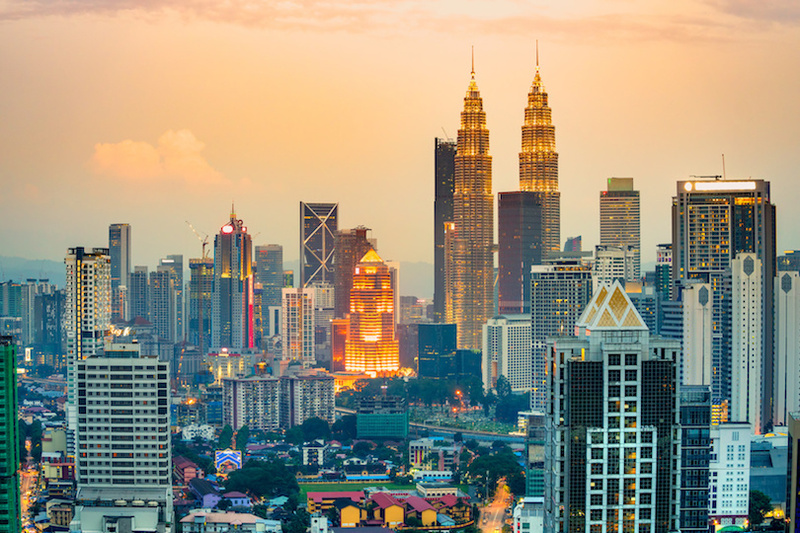 With a lively night market and a wide range of different cuisines on offer, this charming city is understandably a popular tourist destination in Malaysia. An eclectic mix of cultures greet you as you wander around George Town´s chaotic streets – this is what makes it so captivating to visit. 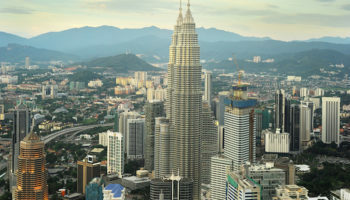 An attractive place, beautiful mosques and temples can be found scattered about, while skyscrapers and shopping malls compete for space alongside the old colonial architecture and local Malay buildings. Its narrow streets that take you past little old shrines, bustling cafes and lively bars are fun to get lost in, and there are plenty of great street art murals. With delicious cuisine that is a blend of the various cultural influences readily available, the second largest city in the country is well worth a visit. 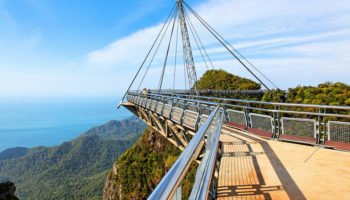 With so much to see and do, Malaysia´s massive multicultural metropolitan capital really does have something for everyone. 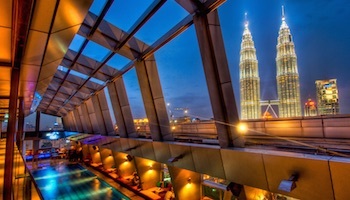 Appearing to be almost endless, the city stretches away to the horizon, with domineering skyscrapers and the Petronas Towers reaching towards the heavens. With its infectious energy and plethora of attractions, wandering around its temples, mosques, shopping malls and busy markets is intoxicating. Because it is home to a diverse population, Kuala Lumpur´s unique cultural heritage really does shine through. Colonial architecture is on show around Merdeka Square, while fantastic restaurants and cafes are spread throughout other neighborhoods such as Little India and Chinatown. Old mixes with new, as this rapidly expanding city continues to grow. While modern developments spring up along the riverbanks, traditional Malay villages in the heart of the city – such as Kampong Bharu – still survive.